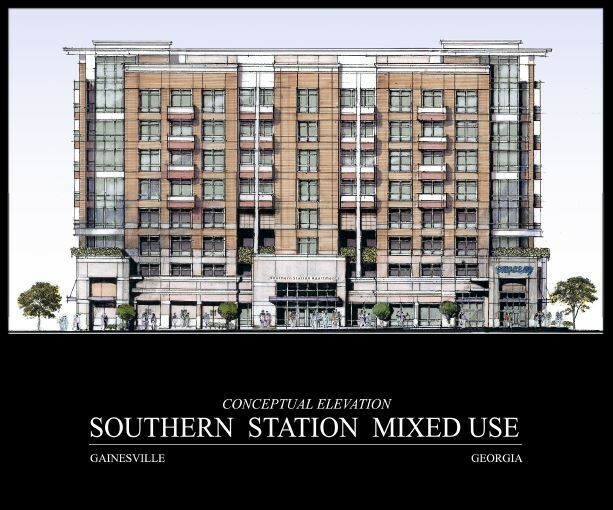 Gainesville-Hall County is the regional center for financial and medical services, so serving as a Georgia retail hub as well makes sense. The Greater Hall Chamber facilitates partnerships between government and developers and supports development with timely and accurate information. -Enhance the quality of life. -Complement Gainesville-Hall County’s position as a tourism destination. -Diversify the tax base and economy. -Attract sales tax dollars to support education & infrastructure initiatives. 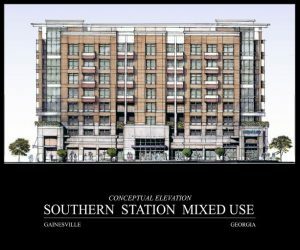 Downtown Gainesville is getting 3 new multi-use buildings offering 45,000 sf of retail and restaurant space, 40 luxury condos and 150 upscale apartment units – announced May 2017.